Say farewell to the late McLaren 650S and welcome its successor, the all-new 720S, recently spied in the first picture, and for that, thank you Petrol Ped, YouTube. 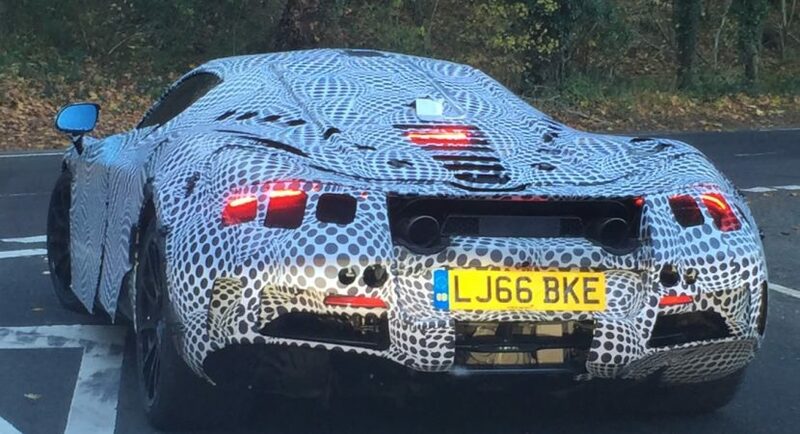 This is not the first time we hear about the new 720S, otherwise known as the P14, but it is a premier to see it all fully-camouflaged and ready for some track tests. As we can depict from the spy photo, the all-new McLaren 720S is set to come with some changes at the exterior, the model now looking wider to accommodate a slightly larger engine. The test mule is also visibly lower to gain more downforce, adding as well other new aerodynamics which would increase the supercar`s driving capabilities. In terms of new mechanics, the McLaren 720S will be aimed for track as well, and according to Autogespot, might come with a track mode, the same one found on the P1. This means when it is activated, parts of the dashboard will lower down in order to provide the driver with the perfect visibility on the track and distract him from the surroundings. More than that, the track mode also provide the necessary information concerning gear, oil and cooling temperature, tachometer or tire pressure. In the engine department, the same report from Autogespot states that the model will drop the 3.8-liter V8 engine in favor of a new 4.0-liter engine, developing 720 horsepower. Moreover, on the track, the model is also believed to be as fast as the P1, providing as well an impressive sprint. Unfortunately, the details list and specifications are rather scarce at the moment, but we should be able to find out more at the 2017 Geneva Motor Show, next March, where it is believed to receive the official round of applauses.